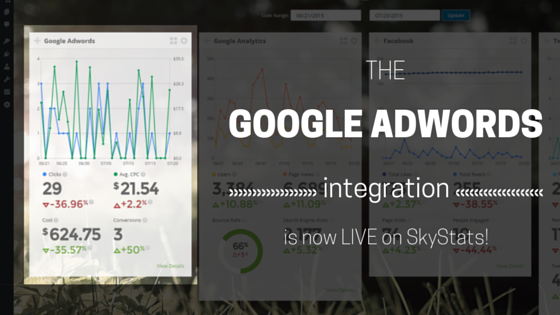 The Google Adwords Integration Is Now On SkyStats! You may want to be sitting down for this…the Google Adwords integration for SkyStats is now live! You can now monitor your Google Adwords performance right from your SkyStats business dashboard! Please try to refrain from scaring those around you during your wild celebrations as we head into all the sweet, sweet perks that come with the SkyStats Adwords integration.